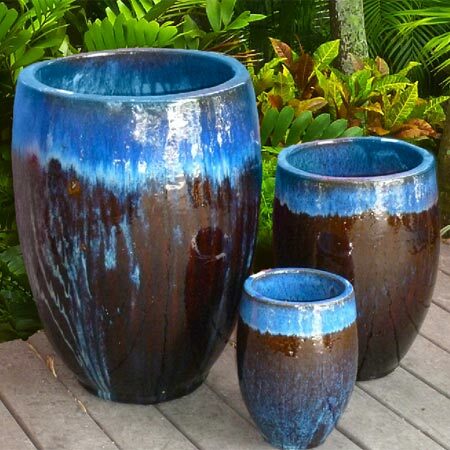 At Jeny Sod's Garden Center, you will find a fully stocked section with designer planters of all shapes and sizes for your every planting needs. 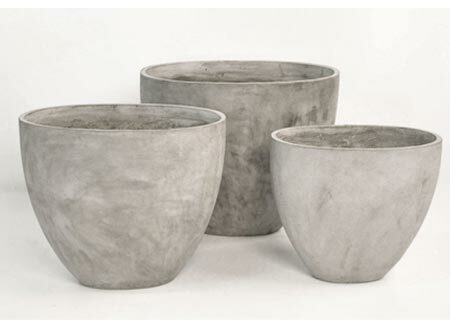 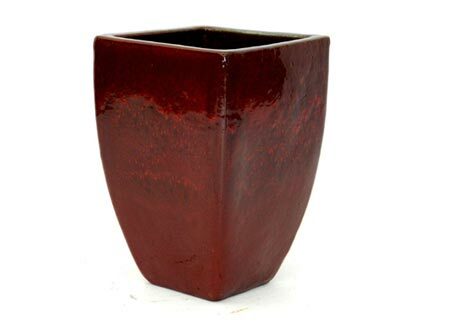 Our planters come in a wide variety of shapes & sizes including bowls, urns, rectangular, contemporary and traditional round pots. 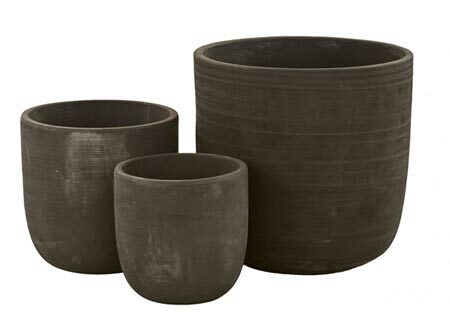 Our Planters come in a variety of Materials. 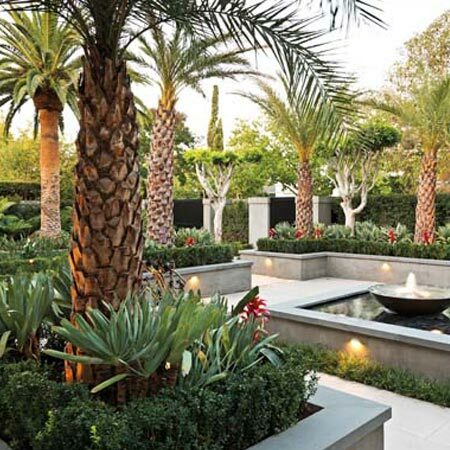 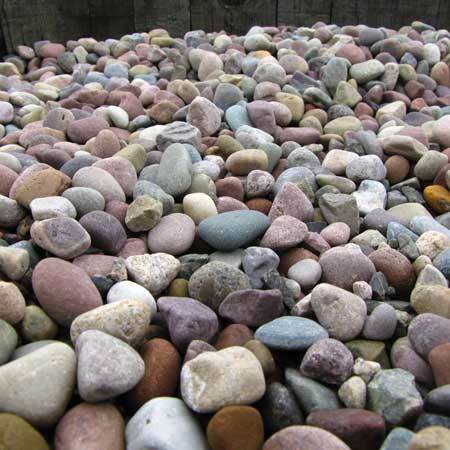 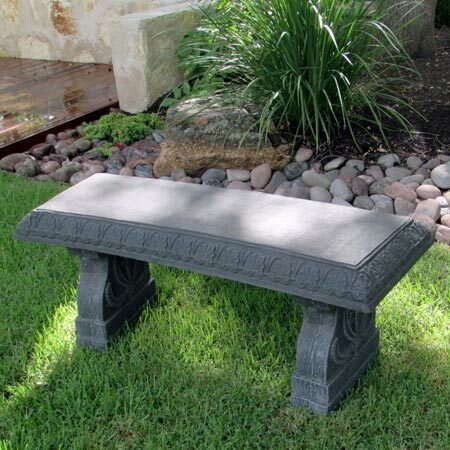 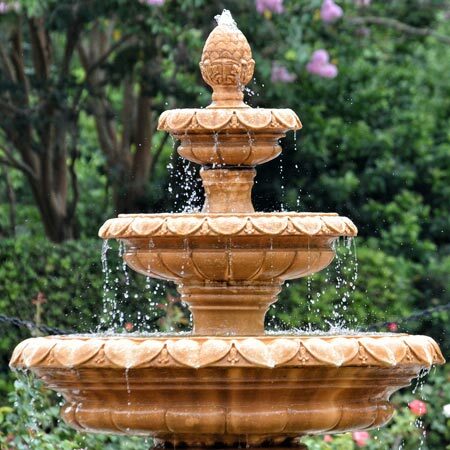 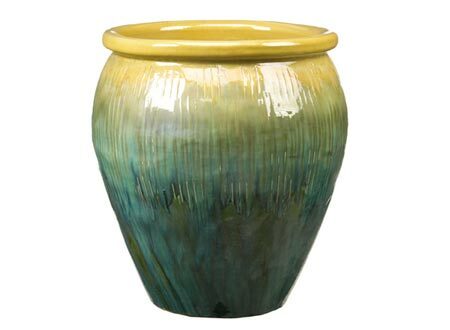 Pottery in your landscape design has a variety of functional uses and comes in a wide variety of aesthetic styles, so we take great pleasure in assisting our customers in finding the perfect pot. 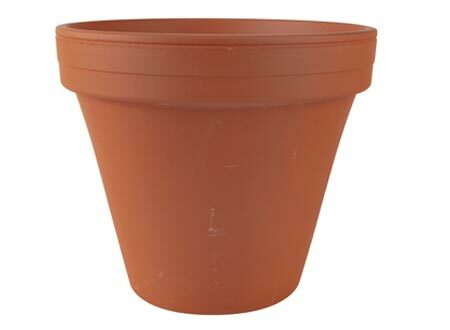 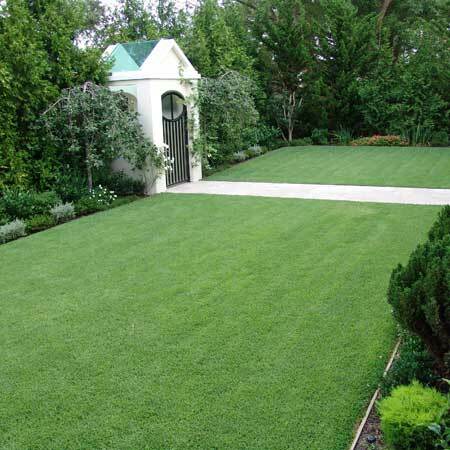 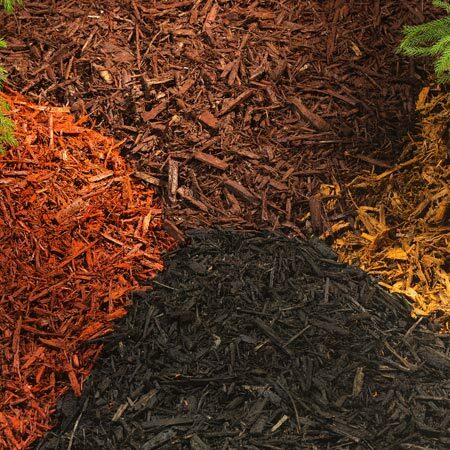 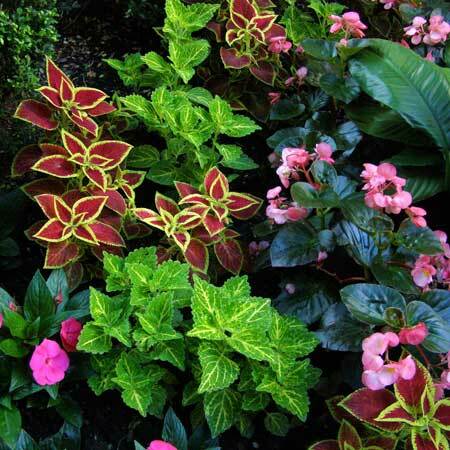 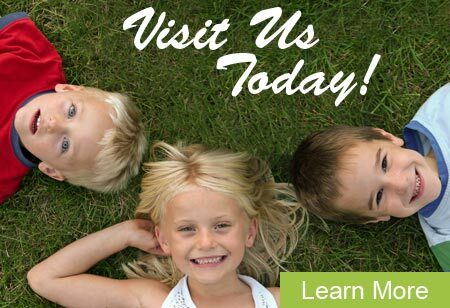 Our staff here at Jeny Sod will guide you in helping you choose the best planter for your design application as well as make specific recommendations on the proper potting soil and amendments based on the plant material and location of the pot.